Why is it necessary to pump a septic tank? Most septic systems should be pumped out every 2-3 years depending on the size of the tank and the number of people using the system. In some cases when a large number of people are using a small tank, then the tank needs to be pumped annually or semiannually. Septic system maintenance means two simple things. First, sludge that accumulates in the bottom of the tank must be pumped out periodically. 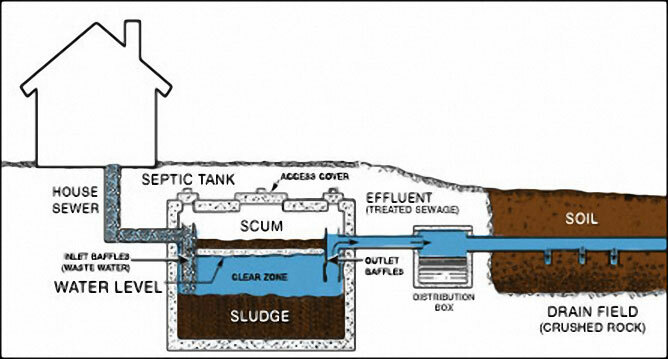 There is no additive that you can put in the septic tank that will eliminate the sludge. IT MUST BE PUMPED OUT! How frequently depends on the size of the tank, the use it gets, and the condition of the system. If not pumped out, it will eventually overflow into the soil absorption area. This will clog the system, and it will need to be replaced, at enormous expense and inconvenience. If you are experiencing any of these warning signs, please contact us today! Copyright © 2019 Vern Vallance Septic Service. All rights reserved.